It’s been another exciting year at IWCO Direct. By the end of this year we will have produced nearly four billion mailpieces. That’s kept our operations teams busy throughout the year, and we’ve set many new production records across our platform. We’re also proud to report Printing Impressions has again named IWCO Direct as the largest direct mail printer in North America in its 2016 PI400 rankings. In 2016 we also continued to invest in the technology and services our customers need to ensure their integrated marketing campaigns are both efficient and effective. Our technology investments drive even stronger return on marketing investment (ROMI) for our clients’ marketing campaigns. They include production equipment such as new digital inkjet devices, new ink sets for even better color fidelity and consistency on those devices, an additional Inveloper® wrap-based finishing system, and our most recent acquisition, a Komori GL640/C press that expands our production capabilities for plastic and paper promotional cards. In addition, we have invested in our service offerings. 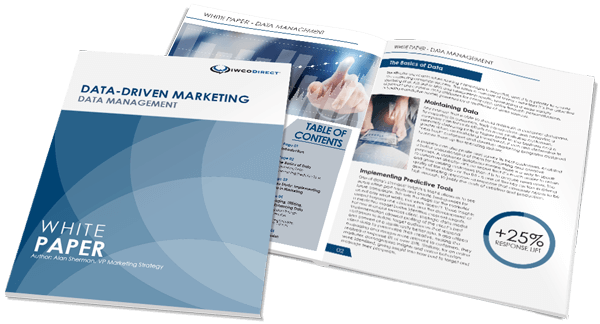 We have grown our dynamic content management capabilities using Prinova’s Messagepoint and have continued to build out our marketing and creative services agency practice. We are ramping up for a number of exciting customer growth opportunities in 2017 and have several initiatives underway to enhance our front-end workflows. These initiatives will be very important as we prepare for another period of growth, ensuring that we integrate these new opportunities seamlessly across our platform. We couldn’t have done any of this without the ongoing support and hard work of our employees. We thank them for their dedication and contributions throughout the year and look forward to working together toward another year of exciting growth in 2017. We also couldn’t have had the solid year we’ve had in 2016 without the confidence and loyalty of our clients and business partners. We appreciate their partnership and the opportunity to continue to provide integrated marketing services to drive response and ROMI for our clients’ marketing programs in 2017. And as we wrap up 2016 and prepare for another exciting year at IWCO Direct, we’d like to remind our clients, employees and loyal blog readers that your partnership and comradery are the best gifts we could ask for! From all of us at IWCO Direct, we extend our warmest wishes for a wonderful holiday season and hope you all have a healthy, safe 2017. Thanks so much for your collaboration in 2016!